In this article, a three-step alternating iterative scheme for rectangular system has been proposed. The convergence and comparison analysis of the proposed method has been discussed for the class of semi-monotone matrices and which confirms the faster convergence of our scheme. 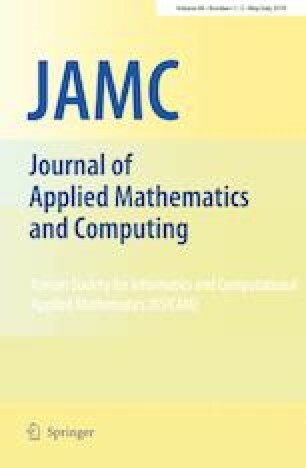 A preconditioned approach is also presented in this paper to relax the semi-monotonicity condition. The preconditioned approach is very promising and converges faster than some of existing schemes. We finally validated all the theoretical results by some numerical examples. We would like to thank Dr. Chinmay Kumar Giri, Lecturer, Department of Mathematics, Govt. Women’s College Baripada, India for his helpful suggestions. The authors also thank the referee for his/her helpful comments and suggestions which led to a much improved presentation of the paper.